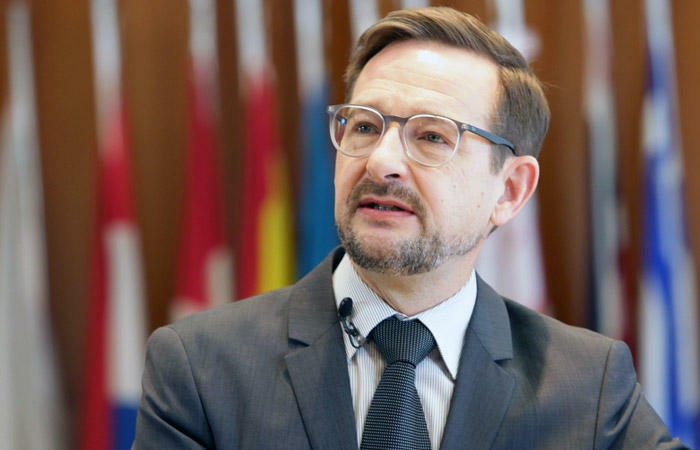 Thomas Greminger, secretary general of the Organization for Security and Cooperation in Europe (OSCE), will come to Azerbaijan on a working visit, Hikmet Hajiyev, spokesman of the Azerbaijani Foreign Ministry, told Trend Sept. 4. Hajiyev said that the visit is scheduled for September 11. This is Greminger’s first visit to Azerbaijan after he was appointed OSCE secretary general July last year as a result of the so-called silence procedure - after on July 12, the OSCE Permanent Council agreed on a single candidature, nominated Greminger for this vacant position and appealed to the foreign ministers of the OSCE to approve the candidate during a five-day procedure. The appointment entered into force, because no objections were received from the foreign ministers until the deadline - July 18. Earlier, Greminger was Switzerland’s permanent representative to the OSCE.